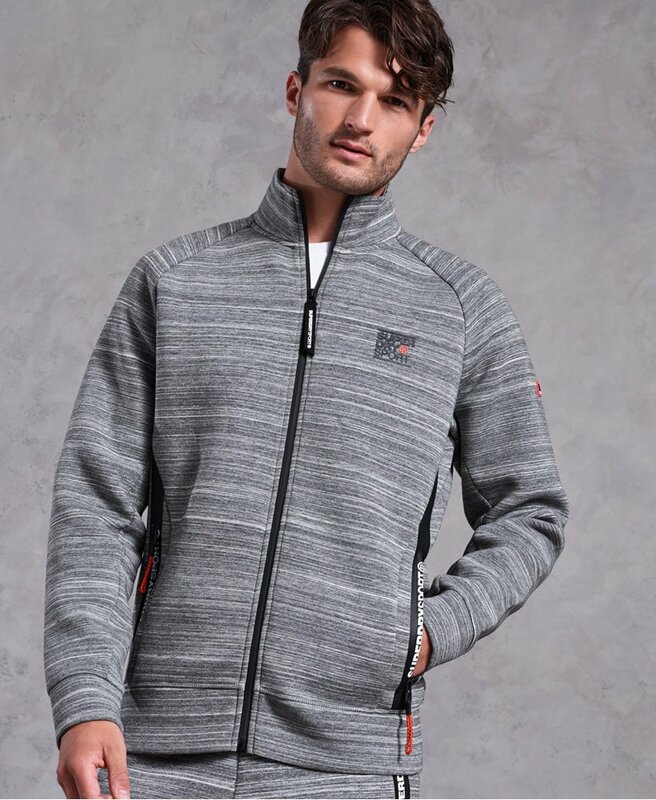 Superdry men’s Gym Tech stretch track top. This track top features two zip fastened front pockets and ventilation details under the armpits to keep you cool. Stretch technology allows this track top to move with you for ultimate comfort. The Gym Tech stretch track top is finished with a Superdry Sport graphic on the chest and a small logo badge on the sleeve.